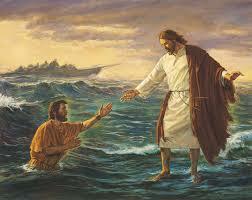 As much as possible, these miracles of Jesus Christ are presented in chronological order. GODS OWN COUNTRY- TOURISM AYURVEDA TREATMENT. Ayurveda is not just about good physical health. It is a therapy that promises holistic wellness. The natural herbs and oils used in the therapy are of great medicinal value as is said in the Vedic literature on Ayurveda. The history of Ayurveda which can be traced back to the Vedic Ages clearly lays out instructions to maintain health as well as fighting illnesses through therapies such as massages, herbal medicines, diet control and exercise. Elimination of toxic elements from the body is the primary function of this curing remedy. The system gets purified when the poisonous elements are removed from the body. As a result, the chances of falling ill are largely zeroed down which makes one feel tension-free. It rejuvenates the mind, body and soul. Charaka Samhitha (Treatise on Medicine), Susrutha Samhitha (Treatise on Surgery) and Ashtanga Samgraha (Treatise on the basic principles) are the three major treatises in Ayurveda. These treatises tell us that every individual has a unique constitution. Every organ or system has an energy related to it and there has to be equilibrium between them. The balance generally gets affected when we fall ill. The objective of Ayurveda is to reestablish this equilibrium in order to maintain good health. 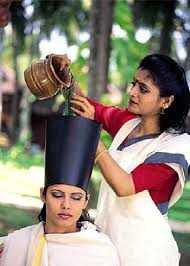 Kerala has a number of Ayurveda treatment centres which offer various packages. From treatments like uzhichil and pizhichil to curing illnesses like arthritis to beauty massages for the skin and hair; there is no place better than Kerala to seek the benefits of Ayurveda. Kerala has a number of natural herbs such as Aswagandha, Amalki, Katphal, Brahmi, Bharangi, Yashtimadhu, Shankhupusham to name a few. Turmeric, Cinnamon, Keezharnelli (Phylantus Amarus), Kilukillapa (Crotalaria Retusa Linn), Koduveli (Plumbago Zeylanica Linn) and many more herbs with medicinal values are found in Kerala. The rainy season, from June to September, is the ideal time for Ayurvedic treatments because the atmosphere remains cool, moist, and dust free. This opens up the body’s pores, making it receptive to herbal oils and therapy. The places offering the best packages in Ayurveda in Kerala are : Somatheeram Ayruveda Resort near Kovalam, Kottakkal Arya Vaidya Shala which is a hospital, Beach and Lake Ayurveda Resort and Surya Samudra Spa Niraamaya at Tivandrum, Keralyeem Ayurvedic resort near Allepey and Ayurkshethra at Kumarakom.